Taking the form of a metal plate or a carved stone, these were used to calculate distance and height from each other. The datum for mainland Great Britain is mean sea level at Newlyn; the Ordnance Datum (OD). The first primary levelling across England, Wales and Scotland, was carried out 1841-60. 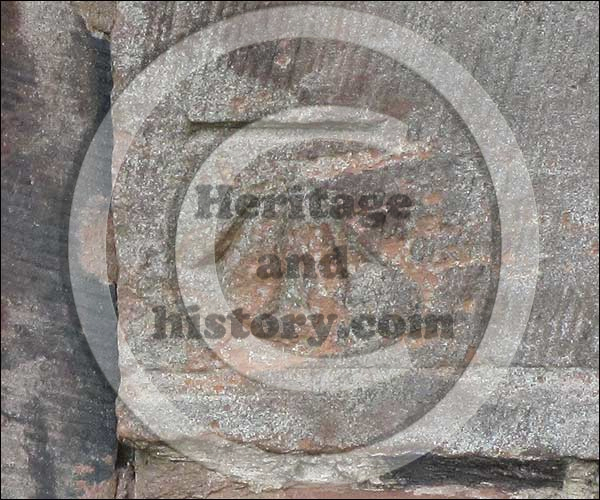 The first datum was an arbitrary height 100 feet below a bench mark cut in the face of the tower of St John’s Church, Old Haymarket, London; in 1844 a datum at Liverpool superseded this. A second primary levelling, using 115 fundamental bench marks, took place 1912-21. A third primary levelling was carried out 1951-56. These usually takes the form of a horizontal line with an arrow pointing up from below. These marks were cut by Ordnance Survey levelling staff to provide a network of points at which height has been precisely measured (to the centre of the horizontal line) above sea level. There used to be about half a million bench marks in Great Britain but they are not needed any more and about half have disappeared. You can find them mainly on buildings (especially churches) and on bridges. The name derives from the angle iron which is fitted into the horizontal cut to give a ‘bench’ or support for a levelling staff. These are very stable bench marks with foundations built to minimise any movement. Each has a buried chamber with a brass bolt set in the top of a granite pillar. They were built about 40 km (25 miles) apart. These are the key to the whole levelling of the UK. They are Highly accurate height stations still used today as the baseline to levelling. These are metal plates cemented flush into the faces of buildings. You can also find them on triangulation pillars. If you see one, the next will be about 1.5 km (1 mile) away. Flush Brackets are a type of bench mark. Each has a number on it, but this is just a serial number and does not give the height above sea level. If they are not affixed to a triangulation pillar they are often referred to as Non-Pillar Flush Brackets (NPFB). Over 6500 triangulation pillars were erected by the Ordnance Survey of Great Britain. Referred to as trig points, these monuments to map making are often found at or near the summits of hills. The triangulation pillars were built for the Retriangulation in Great Britain of 1936-62 and were constructed from 1935 to 1960. The Global Positioning System (GPS) is a satellite-based navigation system made up of a network of 24 satellites placed into orbit by the U.S. Department of Defense. GPS was originally intended for military applications, but in the 1980s, the government made the system available for civilian use. Satellites circle the earth twice a day in a very precise orbit and transmit signal information to earth. GPS receivers take this information and use triangulation to calculate the user’s exact location. Our gallery of levelling points. As we spot any more we will add them to this gallery, so please keep coming back. 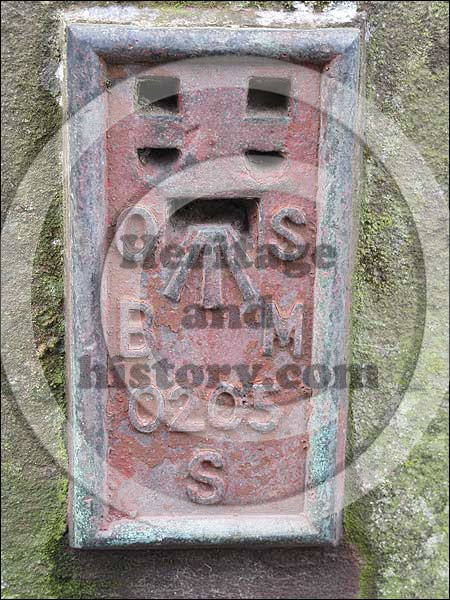 http://www.bench-marks.org.uk – The database contains records of Ordnance Survey bench marks, with particular focus on the numbered flush brackets which appear on walls and buildings across Britain. In addition, fundamental bench marks, projecting brackets, tidal observatories, and other bench marks are also included, to help give a more complete picture of the levelling lines.